United Brokers can not directly control the content on any site other than the MLS where your property is listed. Realtor.com currently displays 4 pictures on non-enhanced listings. 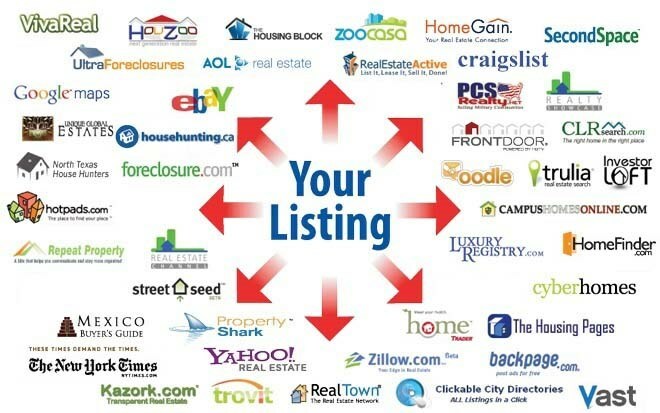 Listings on Web Sites (excluding the MLS) are subject to local area MLS Syndication Networks & the availability of each site which may or may not be available at certain times. Once listed, the listing could be removed from a site if a program ends, if a particular web site terminates or if the web site eligibility requirements change. When a listing is terminated/withdrawn from MLS it could take several days before the listing is removed from all web sites.